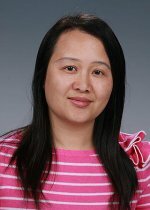 Dr. Huang joined PNNL in January 2010. Prior to joining PNNL, she was a research assistant professor in the Department of Civil, Structural, and Environmental Engineering at the State University of New York at Buffalo from 2008-2009, and a Postdoctoral Research Associate in the Department of Global Ecology at Carnegie Institution for Science from 2005-2008. She earned her Ph.D. in Civil and Environmental Engineering in 2005 from the University of California at Berkeley, with a focus on surface water hydrology and land surface modeling. Her research interest lies in the study of carbon, water, and energy budgets at the regional scale in the context of land-use and climate change using earth system science approaches. She developed an ecosystem model that was designed specifically to quantify changes in carbon storage and fluxes following forest disturbance in humid tropical forests and applied it to investigate the impacts of selective logging on carbon budgets in the tropical forests over Brazilian Amazon. She also developed software to synthesize the measurements from eddy-covariance flux towers and other ground-based instruments in tropical regions such as Hawaii and SE Asia. These measurements are combined with remote sensing measurements and models to assessing the dynamics and consequences of alien tree invasion, rubber tree plantation, and climate change in those regions. While at Berkeley, she worked on the development of land surface models and/or hydrological models, and the applications of these models at watershed/regional scales offline or within coupled land-atmosphere systems. She implemented a dynamic representation of surface- and groundwater interactions into the Variable Infiltration Capacity land surface model (VIC-ground), developed two subsurface flow parameterizations for land surface models, and coupled VIC-ground to the regional climate model MM5. Pacific Northwest National Laboratory Fellowship, 2001, 2004. Berkeley Atmospheric Science Center Fellowship, 2003.
International Lee Fellowship, UC-Berkeley, 2000. Hoffman F.M., C.D. Koven, G. Kappel-Aleks, D.M. Lawrence, W. Riley, J.T. Randerson, and A. Ahlstrom, et al. 2016. International Land Model Benchmarking (ILAMB) Workshop Report, Technical Report DOE/SC-0186. PNNL-26550. Richland, WA: Pacific Northwest National Laboratory.